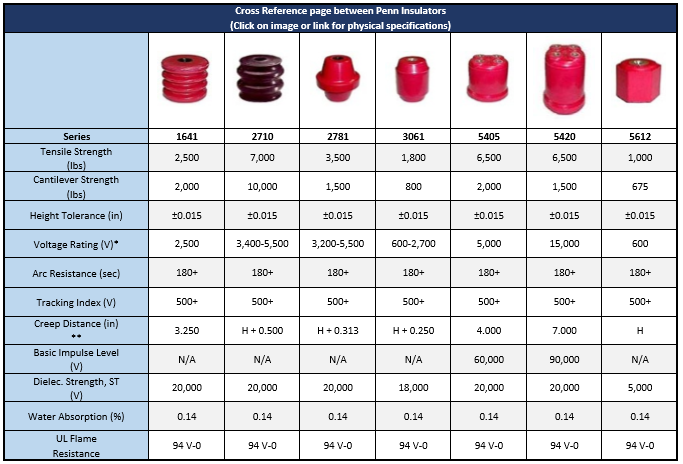 PENN Insulators are molded from UL recognized Arc-, Track- and Flame-Resistant Glass Polyester molding material. We stock the complete line of PENN Insulators for quick delivery times. We can handle small to large volume releases from any Control Panel, Transformer or Switchgear Manufacturer or Repair Facility.